For the last week on Facebook I have been following a page called Students on Ice. Students on Ice is an organization that hosts educational trips to Antarctica and the Arctic. The current trip to Antarctica started on December 25th. The current trip has 66 high school and college students along with 23 scientists, teachers, and polar experts. The students are writing blog posts to document their experiences. You will find some of the posts on Facebook. All of the posts appear on the Students on Ice website. The pictures and videos alone are worth checking out. The students' blog posts reveal a bit about the history of Antarctic exploration along with a the science of life in Antarctica. I particularly enjoyed Patrick Hickey's New Years Day post. 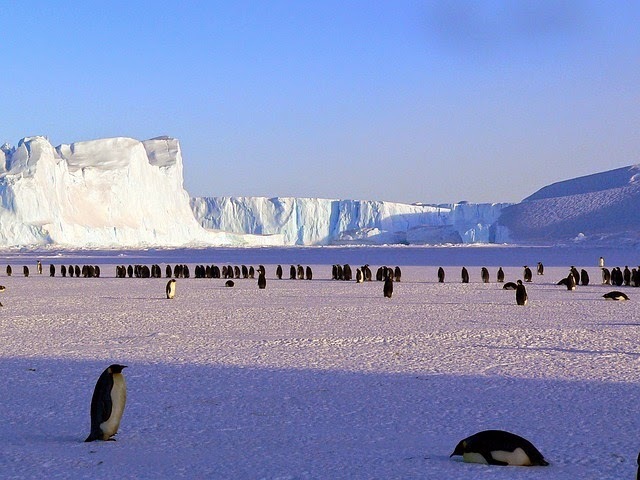 The Students on Ice blog posts could be good for your students to read to learn about travel, science, and history of Antarctica. To give your students more perspective than what the blog posts offer, have them explore some of the Google Streetview imagery of Antarctica. This is included in Google's World Wonders Project too. Obviously he imagery it isn't actually "street view" rather it is ground-level 3D imagery of notable landmarks in Antarctica. You can view places like Shackelton's hut and the ceremonial south pole. Have your students take a look inside Shackleton's hut to see a glimpse of how he and his crew lived.